You may remember in the 2016 Summer Games, when Michael Phelps was seen with these "strange" circles all over his back which they called cupping. Benevento Chiropractic utilizes these cups, but with a twist. 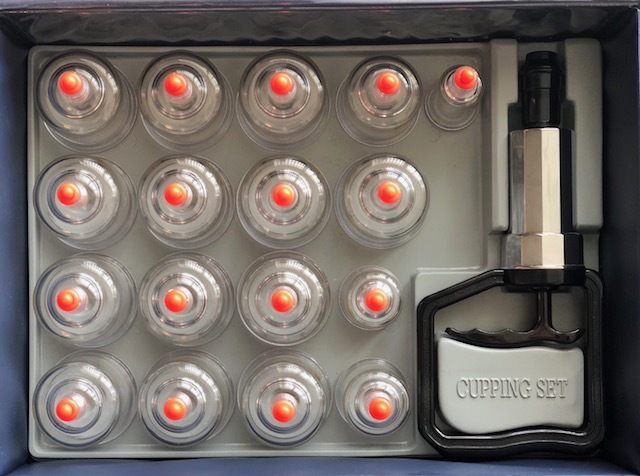 In our office, we add motion to the cupping which provides an entirely different treatment then the cups being placed statically. It creates a deeper stretch which allows us to separate the layers of muscles that become adhered due to the repetitive motion of life or injury. It can leave marks similar to what Phelps had, but those marks are an indication that blood flow has increased over the troublesome areas. We encourage you to drink plenty of water after this treatment as it increases the nutrients to these areas as well.